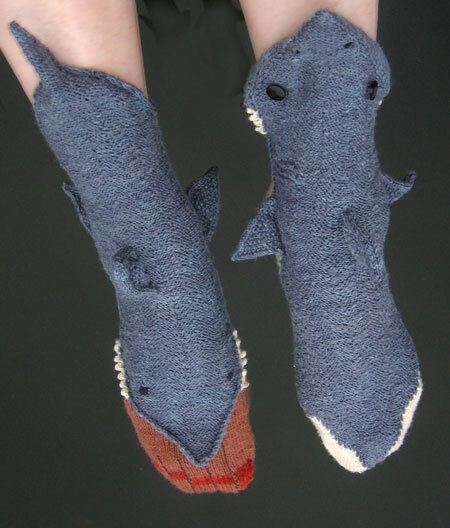 Lisa Grossman (aka the “Tsarina of Tsocks”) has created a pair of hand-knit socks that look like sharks are eating your leg and foot. 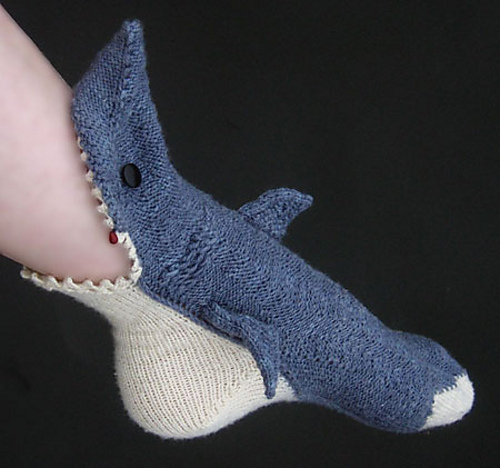 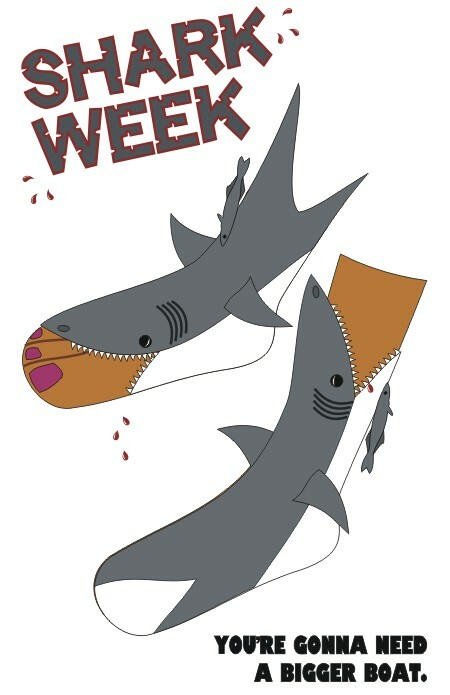 The opening of one of the socks shows the shark’s open mouth biting a leg and the other is reversed, so it looks like the shark is about to bite off toes. 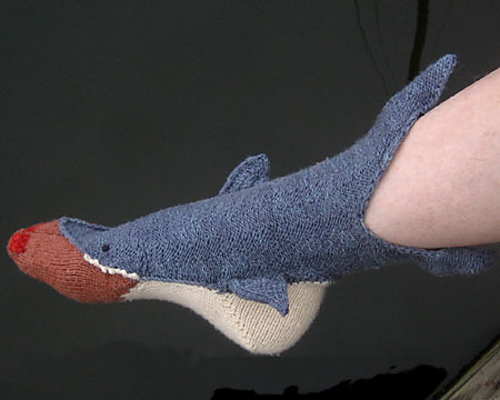 Her “Shark Week” socks knitting kit will be available on Ravelry in 2013.